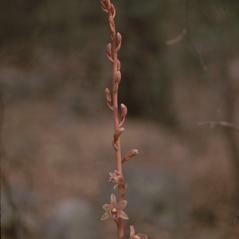 Hexalectris arizonica, the Arizona Crested Coral Root, is restricted to the southwest and was formerly described as a self-pollinating variety of the more widespread Hexalectris spicata. 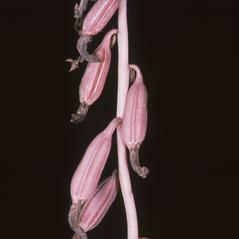 The leafless, pinkish-brown stem of H. arizonica has tan to brown flowers that lack a rostellum which helps to distinguish this species from other members of the genus. The flower, which may only partially open, has a 3-lobed labellum with five reddish-purple crests along the entire length of the central lobe. 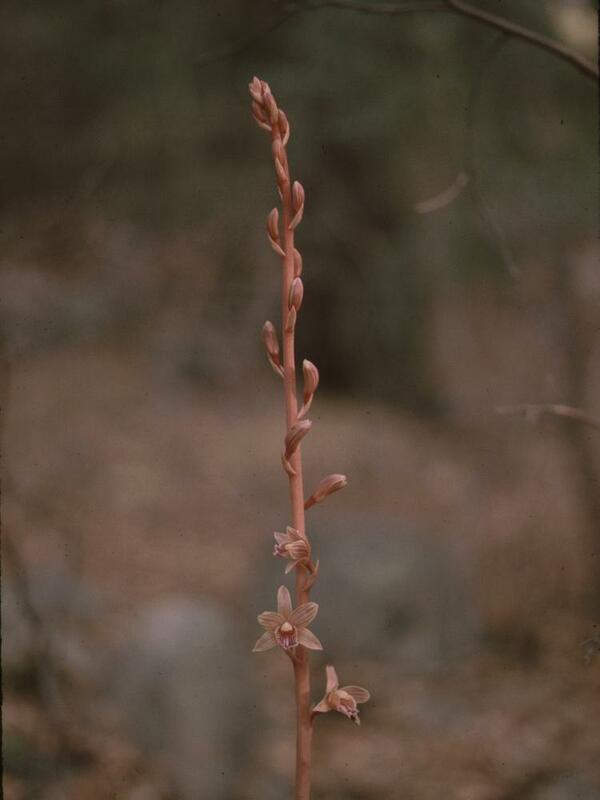 This orchid is rarely found out in the open but prefers wooded areas including the sides of canyons and canyon bottoms. Hexalectris arizonica is considered vulnerable throughout its range and is usually found as widely scattered individuals, rarely forming small colonies. 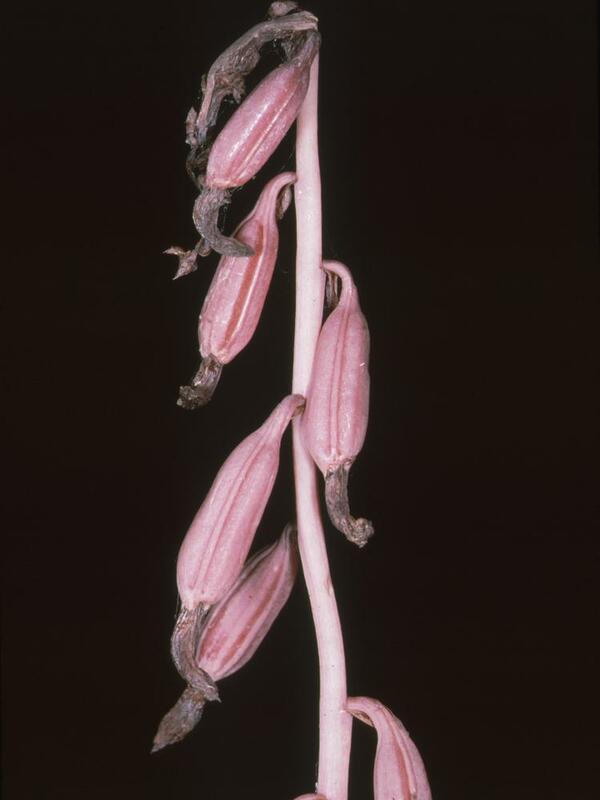 The flowers of this orchid lack a rostellum and are autogamous.